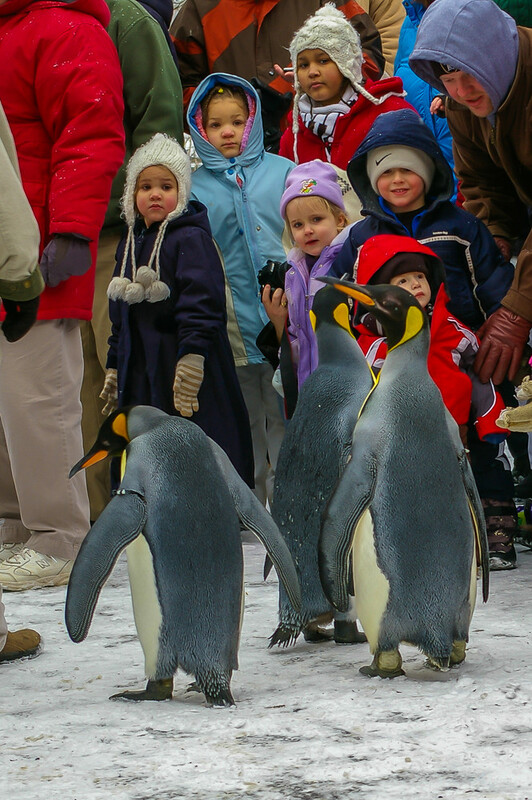 On cold winter Sunday afternoons, the St. Louis Zoo releases their Penguins. Apparently they open the doors and any Penguins that want out are allowed to go (for a while). Not all go out. Here is a photo taken in 2009 with my Pentax K100D and an 18 – 55mm lens.This photo was published in the St. Louis Post-Dispatch in March of 2009.